Die neuen Vinyl-Designbelag-Produkte der Kollektion INSIGHT von Gerflor spiegeln den aktuellen Trend hin zu Vinyl-Designbeläge oder auch PVC-Designbelag genannt wieder. Hohen Nutzungsklassen sind ebenso wie eine große Auswahl an Boden-Designs und ein attraktiver Preis für den Kunden von wichtiger Bedeutung. Gerflor bietet in seiner neuen PVC-Designbelag Linie INSIGHT 30 Holzdekore, 11 sogenannte Urban-Dekore, welche den Spirit moderner Baumaterialien tragen, sowie 16 Fliesendekore (Mineral). Wie gewohnt bieten alle Dekore auch durch die naturgetreue Prägung der Oberflächen eine so hohe Qualität, dass der Fußbodenbelag auch beim 2. Blick und selbst beim Anfassen kaum von echten Fußboden-Materialien zu unterscheiden ist. Aus diesem Grund und weil Vinyl-Designbeläge so viele Vorteile gegenüber herkömmlichen Bodenbelägen bieten, erobern sie in allen Bereichen den Markt. Mit der hohen Nutzungsklasse 42 ist INSIGHT PVC-Designboden bestens für den Objektbereich geeignet und kann beim Ladenbau verwendet sowie in Hotels, Büros, Restaurants, Wohnheimen verlegt werden. Natürlich ist Gerflor Insight Fußbodenbelag damit auch für den privaten Wohnbereich sehr gut geeignet. Für den Wohnbereich werden besonders hohe Anforderungen bezüglich Gesundheit und Sicherheit (Kinder) gestellt. Diese Anforderungen kann Gerflor mit allen seinen Vinyl-Bodenbelägen spielend erfüllen. Gerflor verwendet Vinyl-Material, das in gleicher Qualität auch in der Humanmedizin zum Einsatz kommt. Es enthält keine Schwermetalle, keine lösemittelhaltigen Farben, kein Phatalate oder andere Stoffe, die als krebserregend gelten, kein Formaldehyd und kein PCP. Geringste VOC Emissionen liegen 70% unter Europäischen Standards. Außerdem sind Vinyl-Bodenbeläge schwer entflammbar, tragen nicht zur Ausbreitung eines Feuers bei und entwickeln nur sehr wenig Rauch. Vinyl-Designbeläge sind zu 100% recyclebar und sind somit ein nachhaltiges und umweltbewusstes Baumaterial. bei Ihrem Bodenausstatter bzw. Bodenleger vor Ort. The new line of INSIGHT Gerflor is based on the current development of the design vinyl flooring (PVC design surface). In addition to a high utilization class are a wide range of designs and a low price the most important purchase criteria for the customer. Gerflor offers in its new PVC floor covering with a line INSIGHT 30 wooden designs, 11 so-called urban designs that carry the spirit of modern building materials, decorative tiles, and 16 (mineral). As usual, all designs offer by the lifelike character of the surfaces of such high quality that even the flooring at the 2nd View and even the touch virtually indistinguishable from „real“ floor materials. For this reason, and because offer vinyl flooring design so many advantages over traditional floor coverings, they conquer in all areas of the market. With the high usage class 42 is suitable for PVC INSIGHT design floor well for the commercial sector and can be used in the shop and installed in hotels, offices, restaurants, residential homes.Of course, Insight Gerflor flooring suitable also for private residential area very well. For the home particularly high demands are made regarding health and safety (children). These requirements can easily meet with all of Gerflor’s vinyl flooring. Gerflor uses vinyl material used in the same quality in the human medical field. It contains no heavy metals, no solvent-based inks, no Phatalate or other substances that are considered carcinogenic, no formaldehyde and no PCP. Lowest VOC emissions are 70% below European standards. In addition, flame-resistant vinyl flooring, do not contribute to fire spread and develop very little smoke. Vinyl design coverings are 100% recyclable and are therefore a sustainable and environmentally conscious building materials. Due to its very long life design floor Gerflor PVC INSIGHT with a price of about 36, – EUR per square meter to be regarded as very favorable. 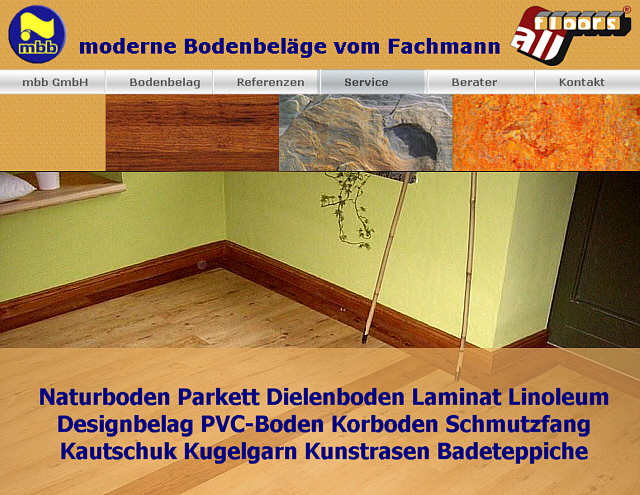 In principle there is nothing, except perhaps the love of „real“ natural materials to design vinyl floor. And even then, protects the use of INSIGHT Gerflor flooring against the cutting of precious woods. Our favorites are the rustic INSIGHT Michigan (0461) in the wood finishes and for urban Amador (0447). Gerflor INSIGHT is free delivery on the Internet portal http://www.allfloors.de/bodenbelag-guenstig-versandkostenfrei/designbelag-designboden-bodenbelag-guenstig/gerflor-designbelag or contact the ground or floor layers decorators site.